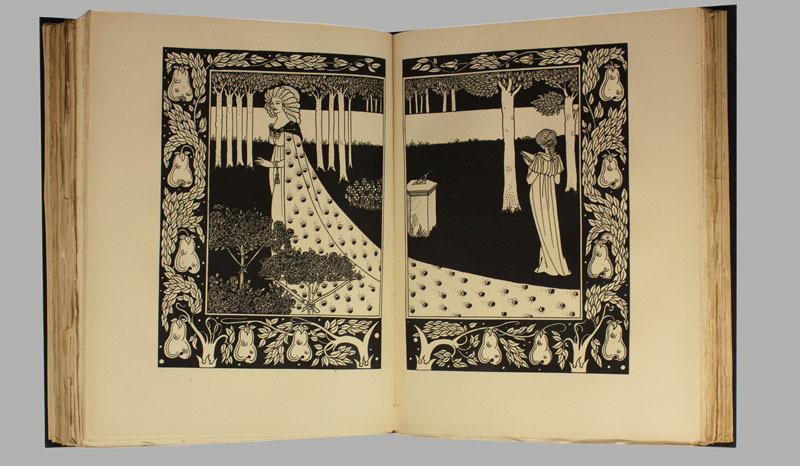 BEARDSLEY, Aubrey. MALORY, Sir Thomas. Birth, Life and Acts of King Arthur... and in the End le Morte Darthur. London: J.M. Dent , 1927. Third edition. Limited to 1,600 copies. Large quarto (11 1/2 x 9 inches; 292 x 230 mm) . lv, 538 pp. 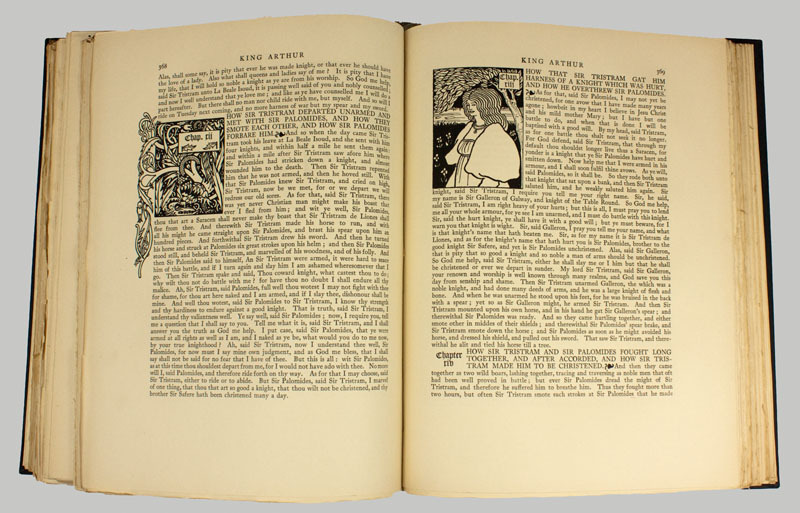 With 365 designs by Beardsley, including twenty-two plates (six of which are double-page), decorative borders, initials, and chapter headings (the chapter heading on p. 368 previously unpublished). 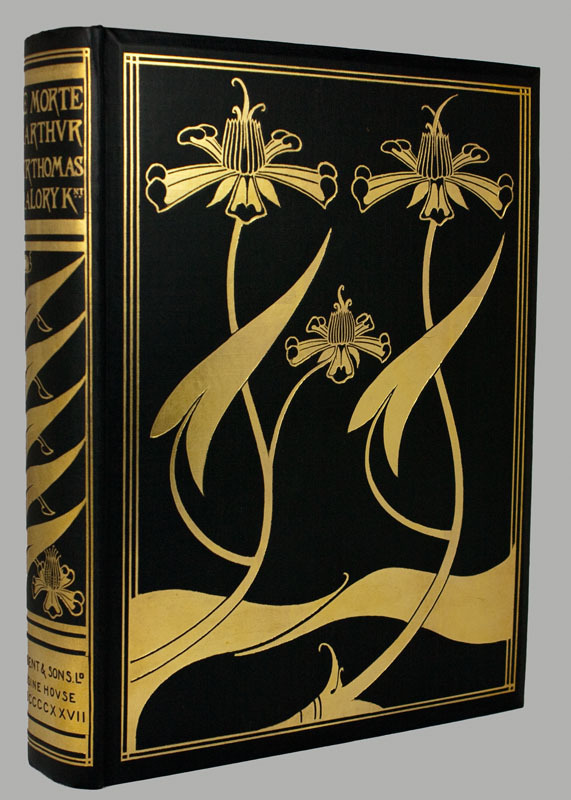 Original black cloth over beveled boards stamped in gilt on front cover and spine in a design by Beardsley. Top edge gilt, others uncut. In rare original pictorial dust jacket. Chemised and housed in a quarter morocco slipcase. Jacket with some minor chips and small splits at jacket corners and a light amount of soiling. Overall a near fine copy of the book in the scarce dust jacket. 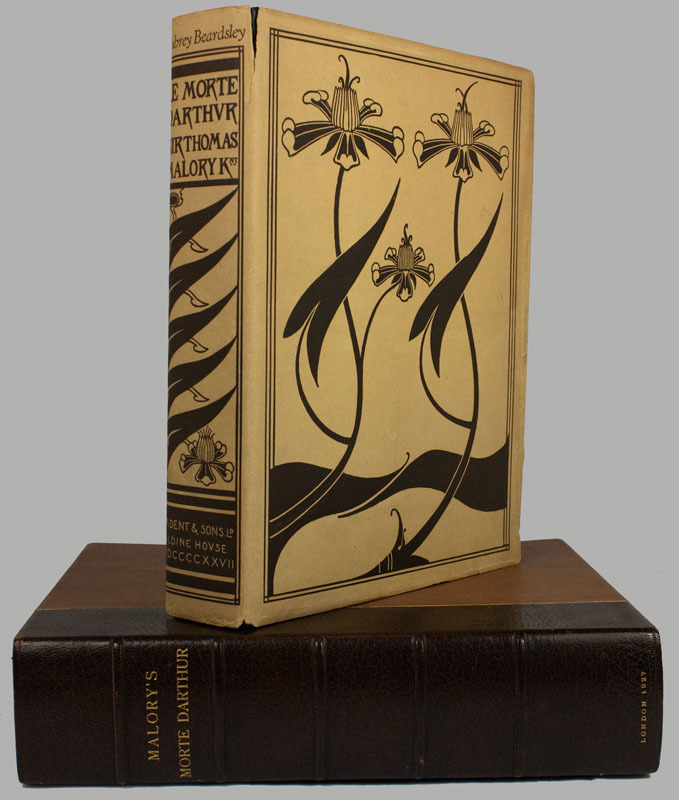 This is the third and most complete edition of Beardsley's Le Morte Darthur, and includes eleven designs and ornaments that had been omitted from the previous editions. Ray, The Illustrator and the Book in England, 314 (describing the first edition).